Originally built in 1844, this historic Nantucket four bay home was completely renovated, restored, and designer-decorated to create a modern, warm, and comfortable living space while preserving the historical nature and integrity of the home. The renovation includes a new custom kitchen with new appliances, beautifully designed bathrooms, It is furnished with high-quality and comfortable furnishings throughout. The tranquil outdoor patio provides a great place to entertain family and friends. 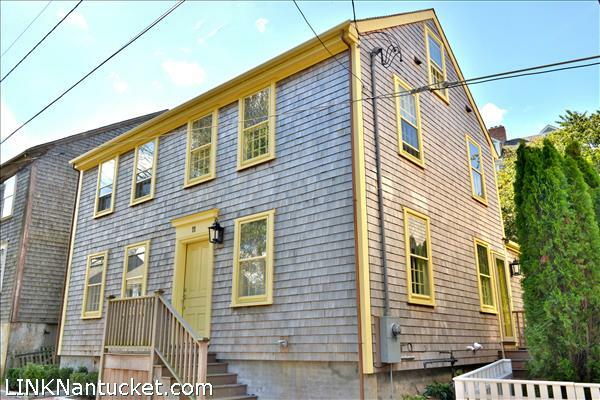 Please send me more available listings similar to 11 Union Street, Town. Thank you!